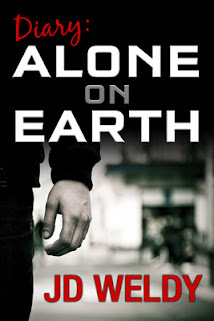 Please click HERE to get all the info about this series. The Battle of Normandy, the Liberation of Paris, was concluded on August 25, 1944. Now, the steady drumbeat of Allied Forces could be heard in Berlin as the Germans prepared for the invasion of their homeland. My Uncle John would actually discuss this event of WWII. He enjoyed talking about it because, for the first time in his life, he was treated like royalty by the French people. All his life, after WWII, he held the French in high regard. He told us that in parts of France people only had a wedge of cheese and maybe a bottle of wine between them and starvation. But, it was offered to American GIs without hesitation. The French people had suffered for a long time at the hands of the German high command. In the mind of the Germans, it was payback time for WWI. In this letter below, my uncle is becoming more and more emotional about the war. He is almost numb from the atrocities that the German soldiers committed against the French during their occupation and as they were fleeing the Allied Advance. He mentions one episode below that is graphic in nature. Readers be advised of this content. It is hard to understand how the German people could commit mass murder and commit atrocities that defy imagination to the occupied lands of WWII. My uncle is now worried about a number of things. The thing the U.S. Army troops were most looking forward to, taking of Berlin, was being mostly handled by the Red Army of the Soviet Union. To say the least, our troops were irate about this. Many felt that General Eisenhower had betrayed them. My Uncle John cursed the name of Eisenhower until two days before his death in January of this year. Many troops never forgave him. 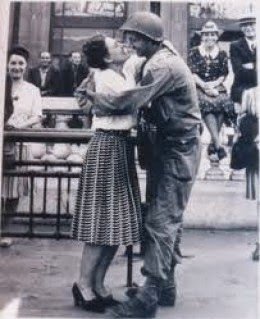 Here now is the latest installment of Letters Home from the Greatest Generation - Paris is Taken. As you pobably know by the time you get my letter you know that we have taken paris france. The paris people are very happy to see us here, Alice. We all marched in about two days ago. We been drinking wine almost all day since that march in. Germans did not put up much of a fight. I think the German boys know the war is about to end. I still have hope we can be home by Christmas Alice. That is my prayer every night. I know one thing them german boys look like they all about to cry. They know the only thing keeping them alive now is the ones they been fighting, us American boys. We captured a lot of them in what little battle they put up agin us. They ran to us with the white flag yelling something at us. I guess it means they surrender is what they said. I wished we could kill all these dam germans. they did xxxxxxxxx some bad things in this country Alice. The thing I remember most is this little village about 20 miles south of where I am right now. We came into the village and the Germans had just left. We heard a woman screaming like somebody was hurting her. me and Mickey Cxxxx ran to her. She was speaking French so we could not understand her. But, she keeps pointing to her daughter. I could not see anything wrong with the girl until I made her turn around. She was bleeding out of her rear a lot Alice. She look like a young teenage girl to me, maybe the same age as your little cousin Patty. I still could not understand what happened. A french guy that could understend some english told us that 3 german soliders rapped this little girl in her rear in front of her mama and papa. The French guy said they had only left about 10 minutes from the time we showed up. We went looking for them. We did not have to look far. They were hiding in a barn about a mile from the village. 1 of them put up a fight. I shot him. He was the lucky one. The other 2 were not so lucky Alice. Some how they got they balls cut off. That is what we told major ellis when we brought them back screaming and bleeding. Major Ellis asked me how it happend and I told him maybe a farmer did it. He did not ask us any more questions about that. Those 2 will never rap another little girl again. We are all mad as hell Alice. We got word today we will not be going into Berlin to finish off the dam germans. Instead we are heading to some kind of camp called bukenwall (Buchenwald Concentration Camp). And we may have to join up with the Third Army. I hate that as much as not going to Berlin. What the hell are they thinking? We so mad we can spit fire. I am looking up at the stars tonight Alice. I wonder what you are doing as I writ this letter for you. It seems you are on one of those stars up there waiting on me to come home. I like to think I can see my mama put one of her apple pies on the front porch table to cool off. I like to think I can see old pooch (that was the name of his beloved dog) barking at the mail man bring the us mail to our house. I think I can see daddy rasing hell about no rain as he always does. I wish I was home Alice. I am sick of this dam war and everything to do with it. I never want to see any kind of gun again if I make it back home. I am sick of the sound of them and all they represent. I am sick of death, of boys without arms or boy without legs or boys without anything but a body and a head left on them. I am tired of looking at the death that war brings. The french people have been grate to me. But, the war is over for them. We must continue this war until it is over for us. I must go. Some of the boys want me to go with them to another party tonight. ***Until his death in January of 2011, Uncle John never allowed a gun in his house or on any of his property again. ****This may or may not be the final installment in this series. Unfortunately, the professor from the local community college can no longer help me decipher the writings of my Uncle John's writings. They are faded and, as mentioned before, Uncle John's penmanship is horrible. But, I will try to post at least one final chapter to close out the series.